On Monday, 3 December, there was a well attended parent coffee morning looking at Student Success through the lens of Learning Support. 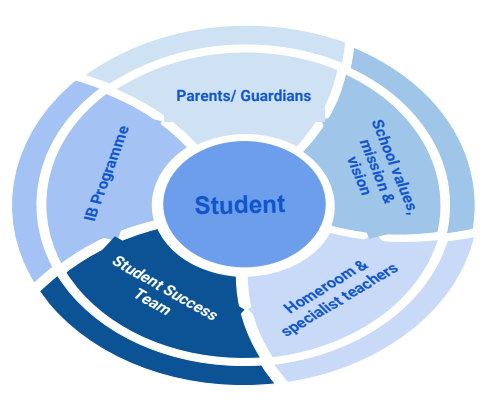 The Student Success Team (SST) model at UNIS Hanoi is a multidisciplinary team approach to establishing support for a student and providing a coordinated system of care to ensure student success. Parents as partners are seen as a key part of student success. The composition of each SST was explained and the UNIS Hanoi statement on Inclusion was shared “UNIS Hanoi celebrates the talents and diversity of its students and acknowledges the right of every learner to be empowered and successful in his/her learning.” Support through collaboration, consultation, co-teaching and coaching to support student success was discussed including early intervention and prevention. Learning Support service provision was explained by the continuum of services outlined in this presentation .